Beautiful, animated and colorful Sunday Market of the hill tribal peoples with festive atmosphere. Magnificent and stunning landscapes of Bac Ha highland. Boat trip along Chay River. 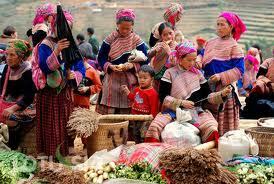 Pick you up at Lao Cai train station transfer to Bac Ha Town let via Lao Cai city. Arrive to the market place at about 09.30am, right at the most crowded hours. Spend two hours joining the local tribal peoples including Flower H’mong, Black Zao, Phu La and Tay for the market activities and festive atmosphere. All peoples in their best traditional costume gather every Sunday for shopping, but socializing is of great importance. The cattle and clothing sections are the most interesting until 11.00 and then comes the food section where peoples meet, talk, enjoy food and especially drink a kind of locally made corn-wine. Picked up and transfer to Sapa for overnight. We will pick you up at Lao Cai railway station by bus, to take you to the township of Sapa which takes approx one hour arriving at 08:00. After breakfast and a morning shower, we start trekking on winding trail into remote area, then start descending into fantastic Ma Tra valley passing lush rice-terraces, corn fields on slopes and enter Ma Tra village with Black H’mong tribe where we will discover their daily life. Chances to meet and talk with locals working in the fields are plentiful. We will break for a picnic lunch on route the continue trekking to Ta Phin village inhabited by mainly Red Zao tribe who are famous for their colourful handicrafts. 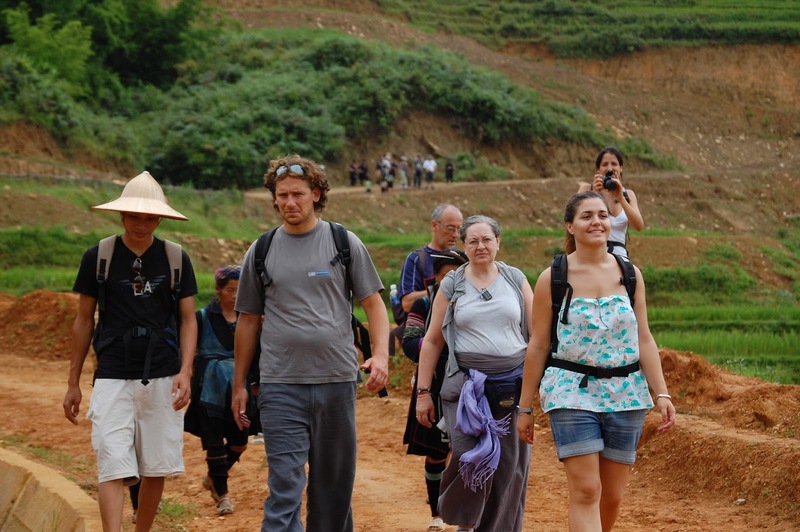 Stroll around the villages and visit some hospitable Red Zao families to learn about their culture. 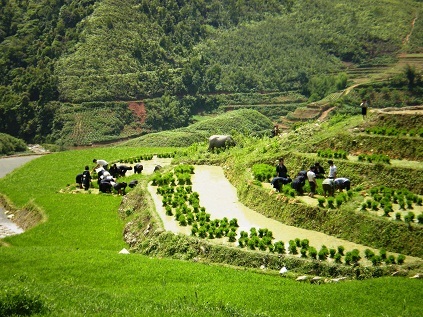 Take a jeep back to Lao Cai for catch a night train to Hanoi. Lunch in local restaurant or picnic. Drinking water and snack for the whole trip.